Have you ever been at a party and caught a person or a group glancing at you while whispering covertly? What’s up with that? Is your fly open? Does someone have a crush on you? Does someone want to throw a drink in your face? You’d want to know, wouldn’t you? The online universe is a lot like that party; It’s a system of digital communities in which people are gathering and discussing a wide variety of topics, including YOU. In your personal life, you may or may not care to find out what they’re saying, but in business, it’s essential to your survival that you know. At the party, you may never get the answers you seek without shaking someone down. However, online, you can use social media monitoring to track mentions of your brand, competitors, product and any other keywords that are applicable to your business. Monitoring your social media channels is about more than just listening. The information you accumulate can help you make major decisions about your marketing strategy, the products and services you offer and how people regard your brand. Plus, it can help you identify leads, build relationships, stay on top of trends, learn about your competitors, protect your brand and more! Note: This post is outlining organic social media monitoring tips, as opposed to paid social campaigns. Organic social media is more geared toward building brand awareness and connecting with your target audience. Paid social is typically centered around driving targeted actions like content downloads, webinar or appointment signups, and other specific goals. Here’s more on why it’s so important that you monitor what people are saying about your business online. Why Should You Use Social Media Monitoring? What do you know about your brand’s reputation? You can get a feel by reading your reviews and speaking with customers, but you’d be missing a wealth of more informal brand or product mentions. Plus, you need to be there to respond! In a recent survey, Sprout Social found that 89% of social messages go ignored. That’s a problem—and an even bigger missed opportunity. People use social media to discuss the topics they care about within the communities they choose. That’s where you need to listen to truly discover how people regard your business, the issues they’re having, and the things they love. Are people searching for your products and services? You’ve seen those calls on Facebook for recommendations, or the plaintive cries for help on Twitter: “I want pizza!” When you monitor your brand’s keywords or phrases, you can jump in and answer these requests (Just mention your current Monday 2 for 1 pizza deal!). NOT selling anything can be really effective too. Be a part of the conversations that are happening online about your industry. When you’re closely monitoring discussions in your niche, you may be able to catch new and evolving trends as they emerge. 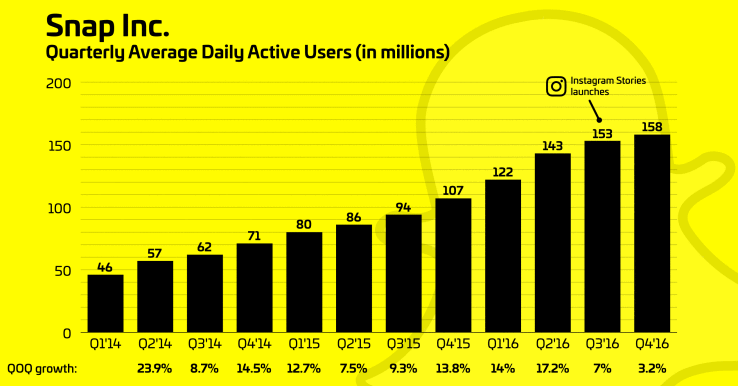 For example, when Instagram launched its “Stories” product, Snapchat growth took a major hit (growth slowed by 82%). In response to news like this, you may decide to alter your marketing strategy to be one of the first to dive into a new social channel or try a new tactic. Why is this important? In an over-saturated market, doing the same thing as everyone else can get you lost in the crowd. Finding ways to stand out will help you get noticed and stay relevant in your industry. Has your competition launched a product similar to what you offer, but at a lower price or with a few more bells and whistles? Did they just launch a marketing strategy that your customers are loving? Did they just screw up royally using a tactic you’ve been considering? Keeping your finger on the social pulse will alert you about these types of scenarios and unforeseen issues that may have huge repercussions for your business. Building your brand’s reputation takes a lot of time and effort, but it can all be lost in seconds.Monitoring your social channels allows you to identify any issues customers have and jump on solutions before they blow up. It’s how you respond and how quickly you respond that matters. In fact, we’ve found that if a business resolves its issue quickly and efficiently, 95% of unhappy customers return to you. Listening, identifying the issue and showing your customers you care and are taking steps to resolve the issue is what can turn them from a brand killer into a champion for your business. So once you’re set up with the tools you need for monitoring, tracking, measuring and analysis, what do you do with the information? This is the key moment where you determine how to act on the knowledge you’ve received. Is your strategy working? Are you truly getting traction on your primary social channels? You may discover that it’s time to re-evaluate the resources and effort you put into certain channels. For example, maybe you discover that your people are super engaged in Quora. Devoting more time and resources there would be worth pursuing, even if it’s at the expense of another social channel. Results from monitoring your competitors on social media could also yield some interesting insights as well. You may find that a new video tactic has people in your area or industry buzzing about a close competitor. Why let them go unchallenged? If you can jump into conversations and authentically solve problems for people, do it! This tactic can be especially relevant when it comes to people’s frustrations with your competitor’s products or services. When you do this, it’s essential that you come from a really genuine place and offer tips or advice geared around helping people. People don’t want to be spammed, and sensitive topics like plastic surgery should be off-limits. However, in many industries you should feel free to have real conversations with people around the topics they care about (which also happen to be topics YOU care about as a business owner!). 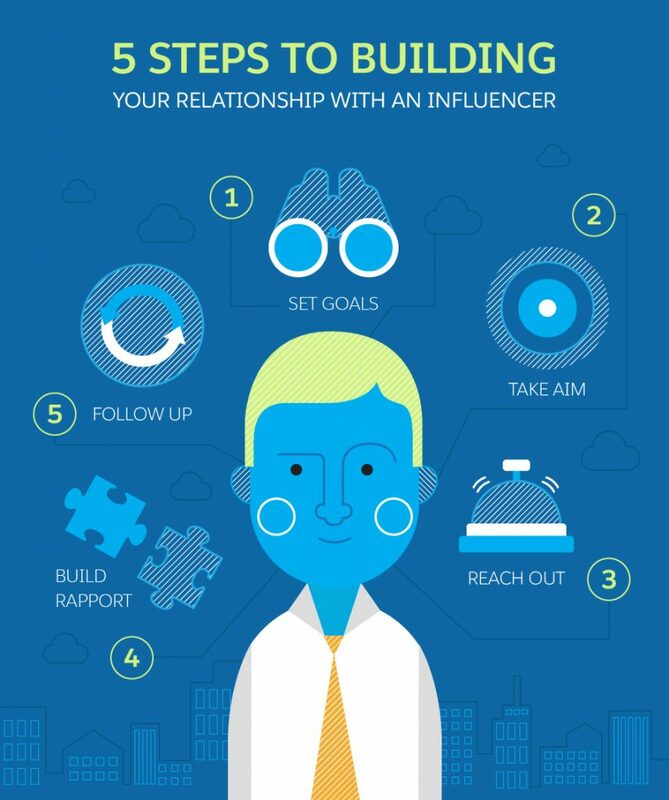 Spotting and reaching out to influencers in your industry as outlined in this post (Salesforce) can have an amazing amplification effect for your brand as well. People look to influencers to help them make purchasing decisions all the time, and if you can develop strong relationships with key influencers you can expect better results for much less work. Listening to the needs of your target audience is a smart way to refine your solutions and develop new ones. If enough people are saying they hate a product, or wish they could tweak it, it’s probably worth looking into what the issue is and try to determine what could make that product better. For example, Natalia Chrzanowska of (Brand24) notes that GoPro did exactly that when they introduced their new camera – GoPro Hero4. On the flip side, if your customers LOVE one of your products, there may be an opportunity to develop similar or complimentary products or services. You can then turn around and apply all this awesome feedback as testimonials for new campaigns. Think ad campaigns, email campaigns, social campaigns and beyond! Social media has led to a major shift in how customer service is carried out by many companies. People want instant answers, and are less likely to put up with call centers. Many won’t even pick up the phone when they have a problem; They’ll just tweet about it! According to a new report from Conversocial, 54% of customers prefer customer service via social media and SMS. The upcoming generation of millennials will only amplify this trend. People are sticking to their favorite social media platforms to air out their complaints, and you need to know if this is happening in your industry (and be ready for it). Letting complains hang out there unanswered is not acceptable to current and potential customers, and it shouldn’t be to you! I’ve thrown a lot of information you’re way. It’s easy to get overwhelmed and put off testing these strategies for yourself. To help you get started, here are a few easy action items for you to try out. Jot down 3 of your top goals that you’re hoping monitoring your social channels will help you with. (example: Find out if people are liking the new kombucha flavor we just released). Contact us to get set up with the social media monitoring tools you need. Poke around and see what value you can get out of the tools. Enter a few of your brand’s keywords and see what data the tools come up with. Look through the initial results. Make a list of 3 things you learned and whether you should discuss with your team. Most businesses are aware that they should monitor social media for mentions related to their brand, products, services, competitors and industry. You might actually be doing so already. But do you have a plan in place to analyze, respond and integrate results into your business’s ongoing strategy? If you don’t, you might be missing some golden opportunities…or you could get a martini in your face!